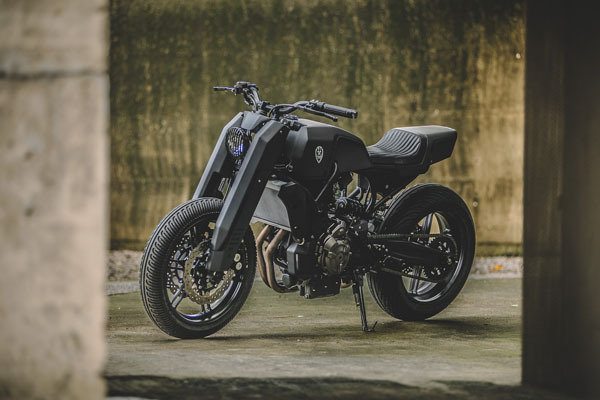 Based in Taiwan, the customizing specialists at Rough Crafts wanted to highlight the frame of the Yamaha MT-07 motorcycle, which they found most interesting. The resulting matte black and grey Onyx Blade is stunning, with imposing fork covers completing the rugged look. But there is one thing Rough Crafts didn’t touch: the 689cc parallel twin, perfect as is.